If you have decided to buy a home here in Orange County there are a few things to take into consideration. First you will need to find out about the home buying process which we have discussed previously. You will also need to know the difference between the market value and the appraised value. The former is simply the value assigned by a professional licensed appraiser, while the latter is the value that every home seller is hoping to get. Additionally, you will have to take into account closing costs which includes real estate agent commission, home inspection fees, and taxes. All things considered, the most important question now is, how do I know that I am getting value for my money here in Orange County? To answer that question, here are a few things to keep in mind. The best thing to do if you want to get the most bang for your buck, is to find an affordable property. If you put in the time and effort, there is a chance that you will find one in OC that is within your budget. To this end, you can start by making a wish list of where you want to live, and determining what you want in your future home. Be wary though of becoming too attached to a particular property, as you could end up missing its flaws. If you have found a good property you can afford, the next step is to find a trustworthy home inspector who can provide you with a good assessment of the house you are planning to buy. One of the biggest pitfalls many buyers fall into is not accounting for extra costs. You won’t get value for your money if you will have to spend upwards of $15,000 on home repairs. There are cases when paying a bit more for a home is worth it because the location is exactly what you want. People, of course, have varying criteria and preferences in assessing a neighborhood. Some prefer a highly urbanized location close to commerce and malls, like Irvine or Santa Ana. Others opt for more serene neighborhoods such as Yorba Linda and Rancho Santa Margarita. Or, perhaps you prefer to be closer to the water in Newport or Huntington Beach. Your preferred location will have an impact on how much you are willing to spend, or go over budget. If you want to buy a house in OC there are some other considerations to take into account. The prices of houses in OC are twice the national average, and it could go even higher under the new GOP tax plan. The value of your property will affect the amount of tax you pay, and your mortgage. The housing market in OC is in many ways comparable to the housing market in other high profile regions. Key Biscayne in Miami is an affluent neighborhood where the property prices are also high. This is largely because of the low supply of houses and the potential for further development. Yet, while the value of properties can be high in OC, they are still lower compared to the most expensive housing markets in the U.S. These include Denver, Colorado; Boston, Massachusetts; Long Island New York; and Naples, Miami. 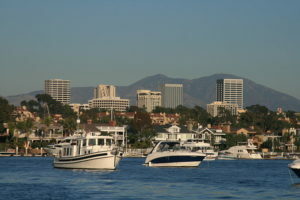 There are, of course, many challenges in buying (and maintaining) a property here in OC. However with hard work, ingenuity, fiscal prudence, and determination, your next home might just be in this beautiful county. Posted in buying, Real Estate and tagged anaheim, gop tax plan, home inspection, house affordability, how much does land cost, huntington beach, irvine, key biscayne, miami, national average home price, orange county real estate, real estate value, santa ana.